You will receive from AEP a W-2, Wage and Tax Statement for earnings paid to you as an active employee. This W-2 will reflect the company name AEP Service Corporation or the AEP operating company from which you were paid while active. You will receive from BNY Mellon a Form 1099R for your monthly pension annuity and/or lump sum payments received, if applicable. You may receive from AEP a W-2, Wage and Tax Statement for your Annual Incentive Compensation, if applicable. This W-2 will reflect the company name of AEP Service Corporation or the AEP operating company from which you retired. The address listed on the W-2 is what is currently on file in AEP’s system. W-2’s will not be forwarded by the U.S. Postal Service to another address. The U.S. Postal Service will return any undeliverable mail due to reasons such as, “Moved — Left No Address,” “Temporarily Away” or “Return to Sender — New Address.” To obtain a W-2 that may have been returned to AEP, please contact the HR Service Center at 888-237-2363 and provide your current mailing address. The HR Service Center will update your records accordingly. The deadline for placing W-2’s and 1099R’s in the U.S. Mail is midnight Jan. 31 of each year unless the 31st falls on a weekend. If that is the case, the default is the next business day. Calls and questions about your tax statements from AEP or BNY Mellon will be taken. However, the Service Center would appreciate it if you would wait until after you receive your tax statement(s). For retirees with life insurance over $50,000: This is a taxable benefit and a W-2 will be issued if there is taxable income. You are responsible for paying your share of Social Security and Medicare taxes with your annual income tax return. In Box 12 on the W-2, two amounts will be listed. One amount will be listed with the code “M” for Social Security Tax, and a separate amount will be listed with code “N”, for Medicare Tax. Q: Why did I receive a W-2 this year? A: You may not receive a W-2 from AEP for many years due to your age and the fact that the life insurance premium cost you are paying exceeds the IRS life insurance taxable income calculation amount. 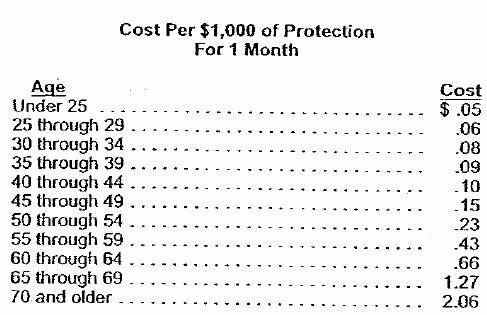 When an individual reaches age 70, the premium cost the retiree pays no longer exceeds the IRS life insurance taxable income calculation amount. Thus, a W-2 will be issued reflecting the taxable income amount and the applicable Social Security and Medicare taxes to be paid with your annual income tax return. Q: Why did my group term life insurance cost go up? Individuals who were in the age bracket 65 through 69; cost $1.27 per $1,000 to age bracket 70 and older; cost $2.06 per $1,000. ﻿Should you have questions about a W-2 issued by AEP or the 1099R issued by BNY Mellon, please contact the HR Service Center at 888-237-2363. Received one but my pension amounts are not included……..only my HSA amount and Health deductions? Was this a misprint or another on the way? Thanks!